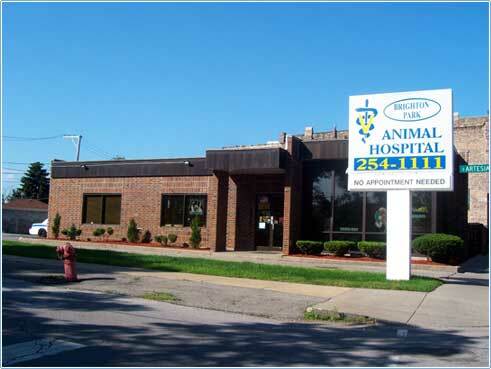 Located in Chicago the veterinarians at Brighton Park Animal Hospital are committed to your pet's health. Chicago based Brighton Park Animal Hospital excels in the science of Veterinary medicine and was founded in 1990. Since then Dr. Ernesto Perez and our staff have excelled in compassionate veterinary care in the Chicago area. Brighton Park Animal Hospital is a full-service animal hospital whose mission is to provide the highest standard of veterinary care for pets. We provide friendly, informative, and supportive services for you and your pet, while maintaining a superior working environment for our employees. Brighton Park Animal Hospital offers the Chicago animal community emergency veterinary services as well as medical, surgical, and dental veterinary care. With an in-house pharmacy and access to specialists, our facility offers a one stop for your pet's health and medical care. "Thank you so much to Dr. Ho for taking excellent care of my Rottweiler Casper. She put my mind at ease and I am very grateful!"